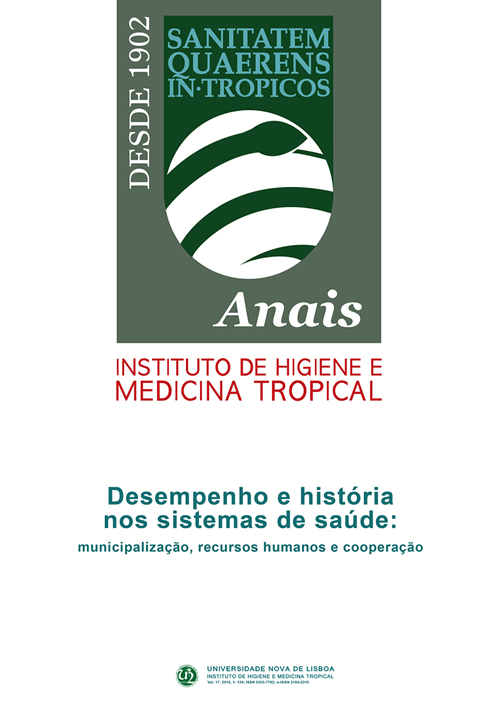 O Centro de I&D Saúde Global e Medicina Tropical (Global Health and Tropical Medicine, GHTM) do Instituto de Higiene e Medicina Tropical da Universidade NOVA de Lisboa organizou o segundo encontro “GHTM – Antimicrobial Resistance Awareness Day” no dia 13 de novembro de 2018, dedicado ao problema da resistência aos fármacos. Este encontro contou com seis palestras proferidas por membros e colaboradores do GHTM, sendo pela primeira vez também transmitido via streaming para parceiros no estrangeiro. Cassini A, Högberg LD, Plachouras D, Quattrocchi A, Hoxha A, Simonsen GS, Colomb-Cotinat M, Kretzschmar ME, Devleesschauwer B, Cecchini M, Ouakrim DA, Oliveira TC, Struelens MJ, Suetens C, Monnet DL; Burden of AMR Collaborative Group. Attributable deaths and disability-adjusted life-years caused by infections with antibiotic-resistant bacteria in the EU and the European Economic Area in 2015: a population-level modelling analysis. Lancet Infect Dis. 2019;19(1):56-66. Tacconelli E, Carrara E, Savoldi A, Harbarth S, Mendelson M, Monnet DL, Pulcni C, Kahlmeter G, Kluytmans J, Carmeli Y, Ouellette M, Outterson K, Patel J, Cavaleri M, Cox EM, Houchens CR, Grayson ML, Hansen P, Singh N, Theuretzbacher U, Magrini N; WHO Pathogens Priority List Working Group. Discovery, research, and development of new antibiotics: the WHO priority list of antibiotic-resistant bacteria and tuberculosis. Lancet Infect Dis. 2018;18(3):318-327. Menard D, Dondorp A. Antimalarial drug resistance: a threat to malaria elimination. Cold Spring Harb Perspect Med. 2017 7(7): pii: a025619. Hamers RL, Rinke de Wit TF, Holmes CB. HIV drug resistance in low-income and middle-income countries. Lancet HIV. 2018; 5(10):e588-e596. Ryu S, Kim BI, Lim JS, Tan CS, Chun BC. One Health perspectives on emerging public health threats. J Prev Med Public Health. 2017;50(6):411-414. McEwen SA, Collignon PJ. Antimicrobial resistance: a One Health perspective. Microbiol Spectr. 2018;6(2).